Book Bundles! Get Your Books! FVP Featured Author Rachel Barnard is included in this bundle. Check it out! Short Stories, Novellas, Novels And Samples. Brought To You By Craig A. McDonough, Author Of “Toward The Brink” Series And Instafreebie. 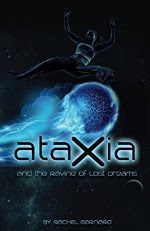 Featuring Ataxia and the Ravine of Lost Dreams – Teenager MC takes on the mighty powers of the government but is sidetracked by challenges of the training academy, the new boy, and her secrets. We have assembled a listing of free novellas, novels, and book previews covering the Historical Fiction genre. Click on the images to download the book from InstaFreebie. Happy Reading! Tweeted. Mine have been on there too, but I not noticed an uptick in sales. Yes, these deals can be great as a reader, but I’m not sure how worthwhile they are as an author. They do get more folks to see your name and potentially to read that book, but I’m not sure if that translates into further sales. It’s most likely to help with a series since a reader may buy the later books in the series if they like the first one that was in a bundle and get hooked. But I often wonder if they value the books or even read them when they get them for free. I’ve read a few this way, but honestly the quality didn’t always make me anxious for more of the author I read. I liked one quite a bit and might buy another of his eventually. But there are so many books to read with colleagues wanting beta reads and ARCs that it’s hard to find time to read new authors. Yes, it is all the books one must read from your colleagues that limit one’s selection.